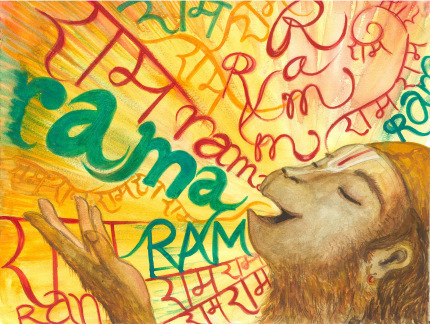 Please join Ambika and me at 7pm at the fabulous Broome Street Temple in SoHo as we sing the Hanuman Chaleesa—40 beautiful and powerful verses in praise of Raja Ram's beloved devotee, Sri Hanuman—together, eleven times. If you wish to, you are welcome to bring along no-egg vegetarian prasad to share at the end and/or flowers for the puja, or just bring your wonderful selves. Word sheets are provided, and donations for the Temple will be gratefully accepted.